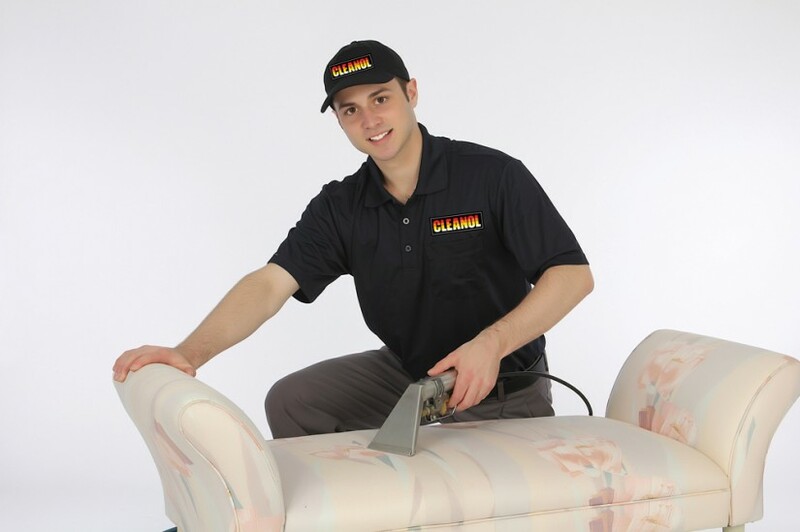 Cleanol has been steam cleaning upholstery in Toronto since 1937. Our expert upholstery cleaning technicians will have your sofas, chairs, ottoman, loveseats and couches back to a clean and fresh state. Our Toronto area upholstery cleaners are experienced in cleaning all types of materials from modern microfiber to antique velvet – Cleanol has your upholstery cleaning needs covered in the Greater Toronto Area. Some clients prefer to bring smaller items such as cushions, slipcovers, table clothes, lamps, stuffed animals, luggage, mats and similar items to our cleaning facility and receive a 10% cash and carry discount. Alternatively, Cleanol offers pick-up and delivery of these smaller items for cleaning at our cleaning facility as well. Cleanol specialists have equipment that cleans virtually every type of upholstery in existence, from a microfiber couch to a velvet sofa. First, your Cleanol specialist will inspect each piece of furniture to create a cleaning plan that is customized to the type of fabric and the make and model of the particular piece. Your Cleanol specialist will then get to work removing stains, deep-cleaning away bacteria and germs and restoring colour. Cleanol also offers deodorizer services, as well as a stain-resistant protective coating for fabrics.